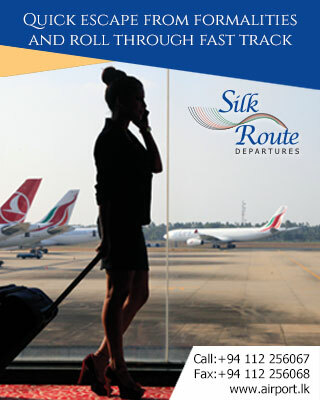 NOTE: Silk Route Departure is available for all airlines..
A whole new way to arrive for today’s traveller. Fly first class on the ground. The minute your plane touches down at BIA airport, you will be whisked away to the plush Silk Route Lounge with dedicated concierge services and attendants to process your papers and collect your luggage. If you are an air traveler who thinks airport formalities are a hassle, here is the perfect way to avoid it. BIA now offers an exclusive facility to all the discerning passengers like you. Branded 'Silk Route'. This facility dishes out ultimate pre-flight and post-flight comfort to those passengers who have a booking. In the event of a package being purchased in respect of a passenger four times in a single year, the passenger will be offered the same package free of charge the fifth time around within the same year.